We offer a grounds maintenance service for clients who have larger grounds inexcess of 1 acre. 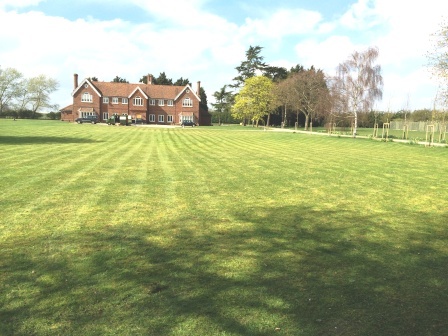 We currently look after domestic and commerical grounds from as little as 1 acre to properties with over 5 acres. Our service includes the regular grass cutting and hedge cutting, weed spraying, general maintenance including driveway repairs, footpaths, fencing and tree surgery. Our prices are very competitive with our ride on mower service costing just £35 per hour and we pride ourselves on the quality of the service we provide. Please feel free to discuss your needs and we will if you wish carry out a site visit to fully understand your requirements.